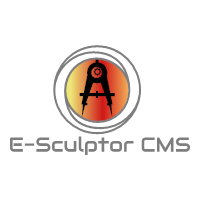 E-Sculptor CMS is an Open Source Content Management System. E-Sculptor CMS is an Open Source Content Management System under GPL v3 License. With E-Sculptor CMS you can create multilingual content. A great tool for a quick start of creating your website. AdminLTE for the administrative panel and Material Design for the public site. Developed with Yii Framework, many designs can be installed using composer or to implement your own styles. Extensible: Using modules for E-Sculptor you can easily extend the functionality of your website. Rapid launchment: You can deploy a simple website in seconds. Customizable: Developed with Yii Framework, many designs can be installed using composer or to implement your own styles.